Welcome to “Whispering Waves”! 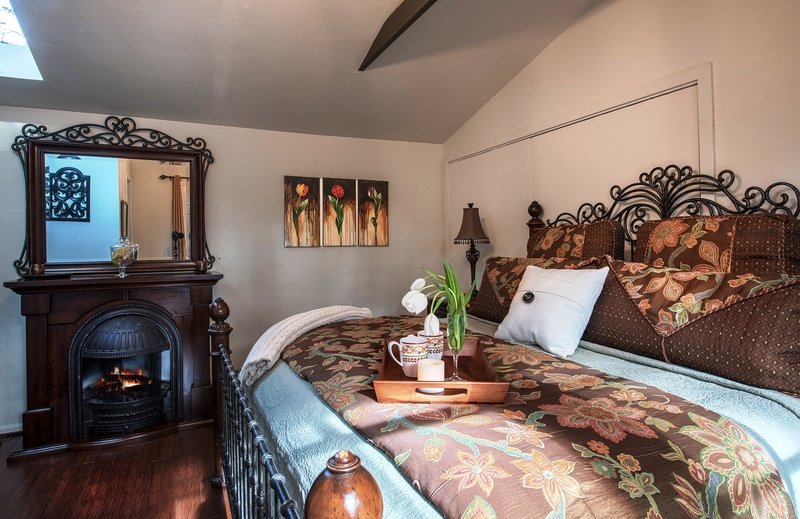 Home sleeps up to 4 adults and 2 children age 12 and under. 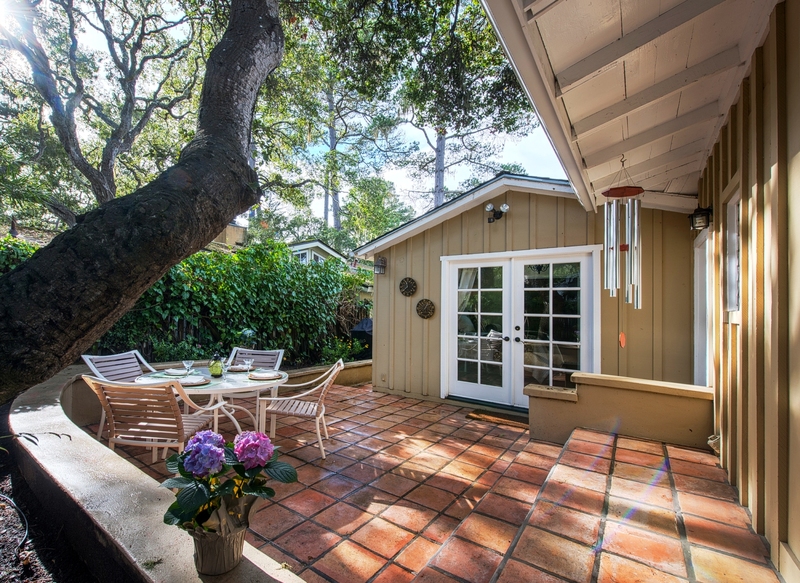 This private residence on a Carmel cul-de-sac makes a perfect getaway, winter or summer, in a quiet neighborhood that is within walking distance of the shops and galleries of downtown Carmel-by-the-Sea and the beach. A walkway right out the front door brings you on to a boardwalk for a beautiful stroll past sand dunes to the Carmel Beach. 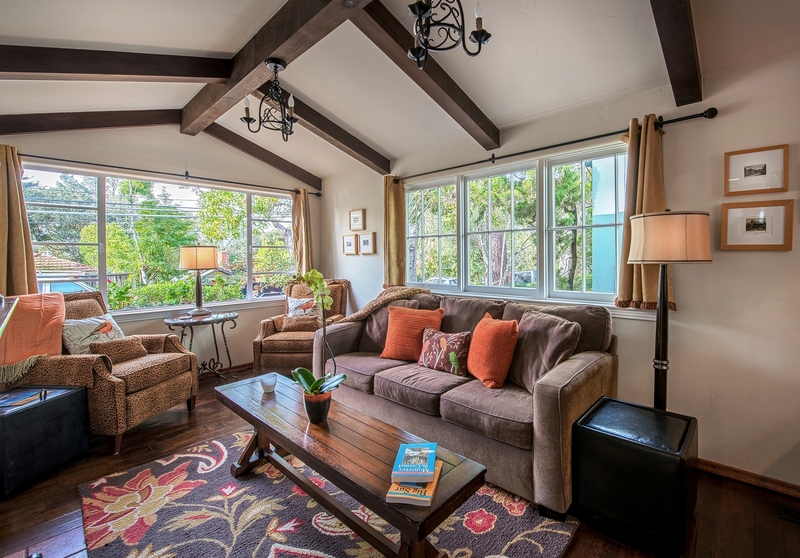 Whispering Waves is also close to the golf courses and restaurants of Pebble Beach and a short 10-minute drive to Monterey and Pacific Grove, 15 minutes to Carmel Valley, or a half-hour to Big Sur. Well-behaved dogs are welcome. 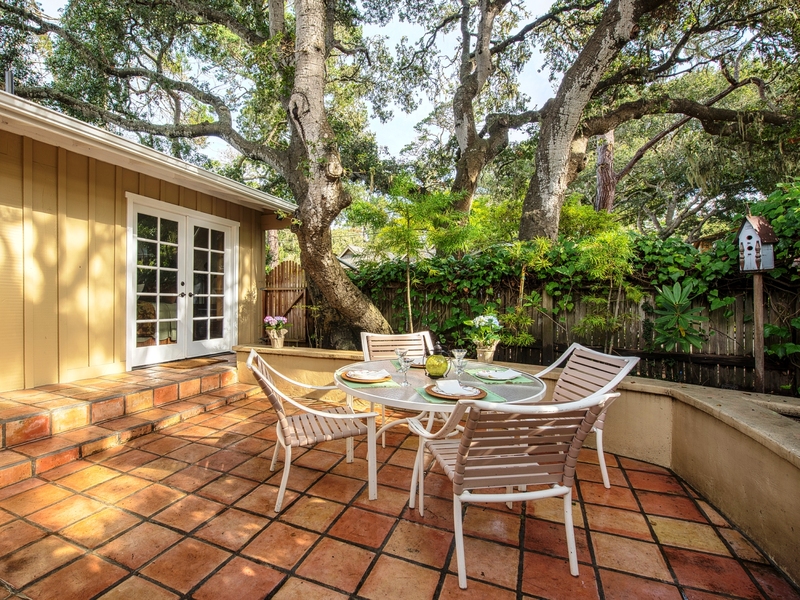 Surrounded by moss-covered Monterey pines and oaks, the 1150 square feet, 2-bedroom, 2-bath home sleeps up to six, and features newly remodeled interiors, a spacious gourmet kitchen, and an enclosed patio that’s a perfect spot for families or couples to relax, barbecue, or enjoy a glass of wine. 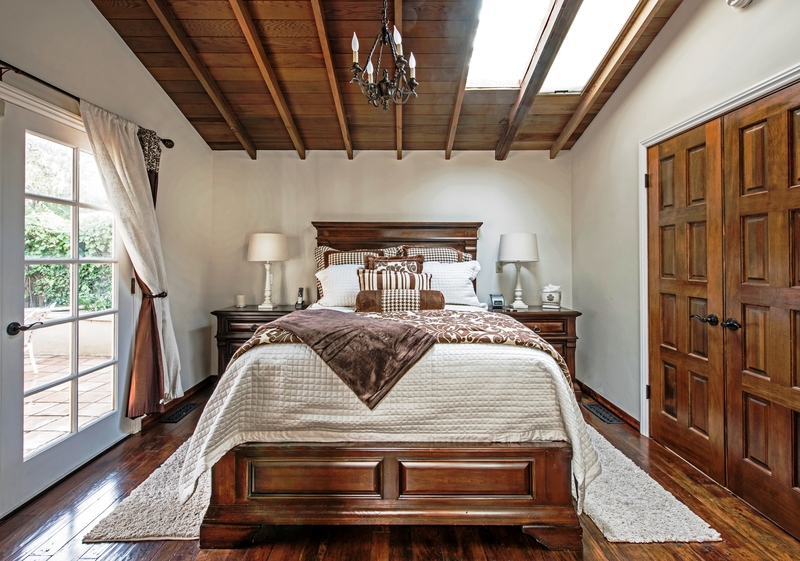 Old World style can be found throughout the beautifully decorated home as well as a variety of modern conveniences. The light-filled residence features skylights and windows in every room. 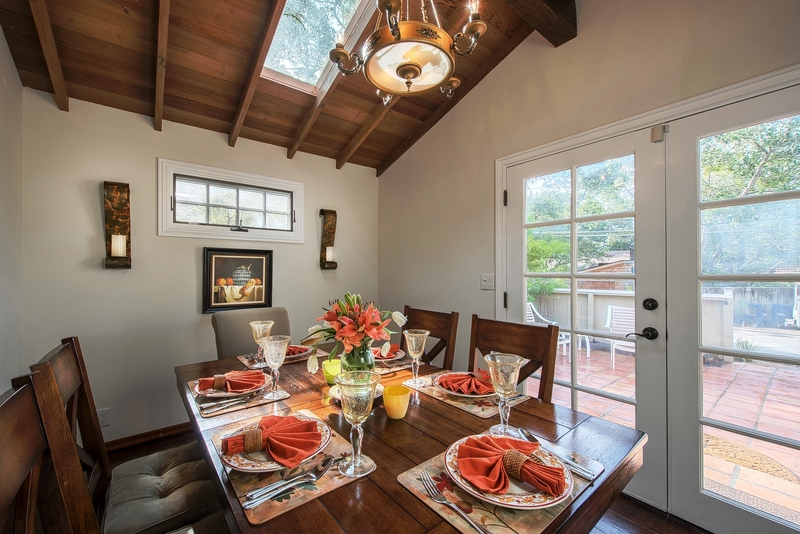 Vaulted open-beam ceilings, plaster walls and dark hardwood flooring hints at California’s mission heritage, and that sense of history is enhanced through the furnishings and carefully chosen paintings of which several were done by the owner. Upon your arrival you will be greeted by complementary wine and cheese, tickets for local wine tasting, local organic coffee to start your mornings and a basket of local information. An assigned concierge vacation house manager is available to assist you during your stay. 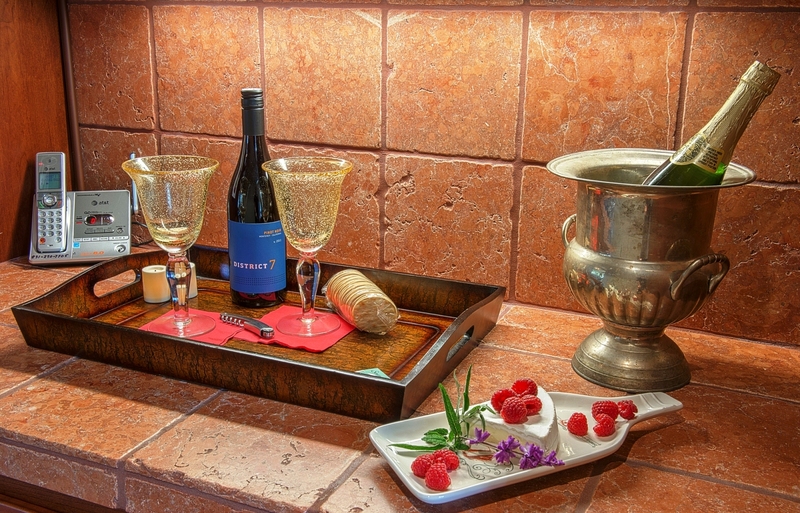 We have also provided spa amenities in the bathrooms, spa robes and beach gear. The kitchen, living room, bar area and dining room flow together, making this an ideal place for entertaining. 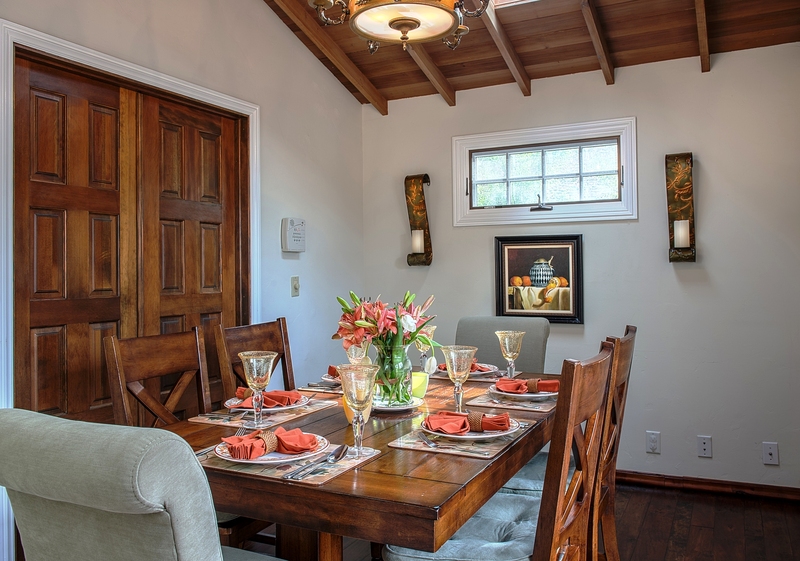 The Old World-style dining room table seats six, with a convenient bar area nearby, and custom built-in cabinetry adds to the ambiance. A 36-inch HDTV can be viewed from either the kitchen or living room, which features cozy upholstered seating, a queen sleeper sofa for 1 - 2 children, and a gas-starter wood-burning fireplace, a perfect spot for conversation, playing board games or reading a good book. 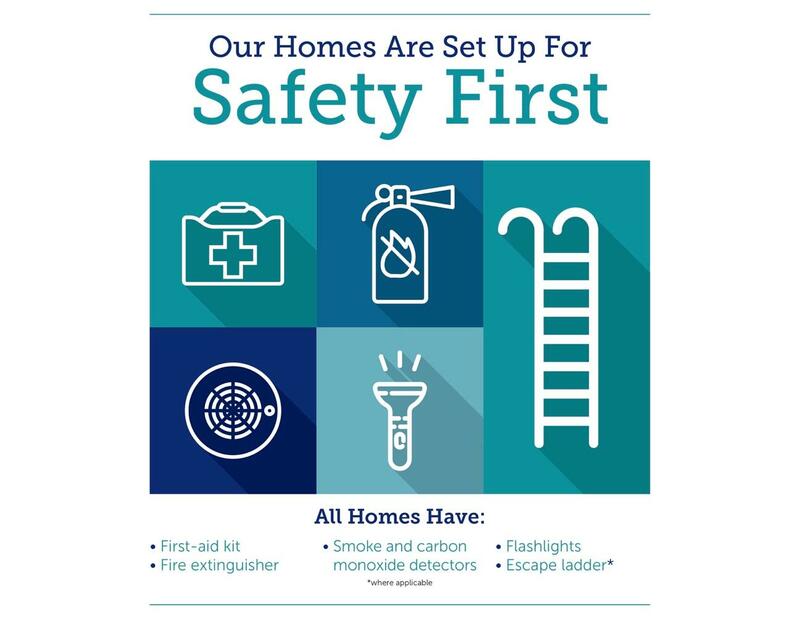 Cable and wireless Internet are available throughout the home. Rich earth tones of sienna, red and chocolate further add to the warmth of the décor, and wrought iron chandeliers match the historic look of the home. 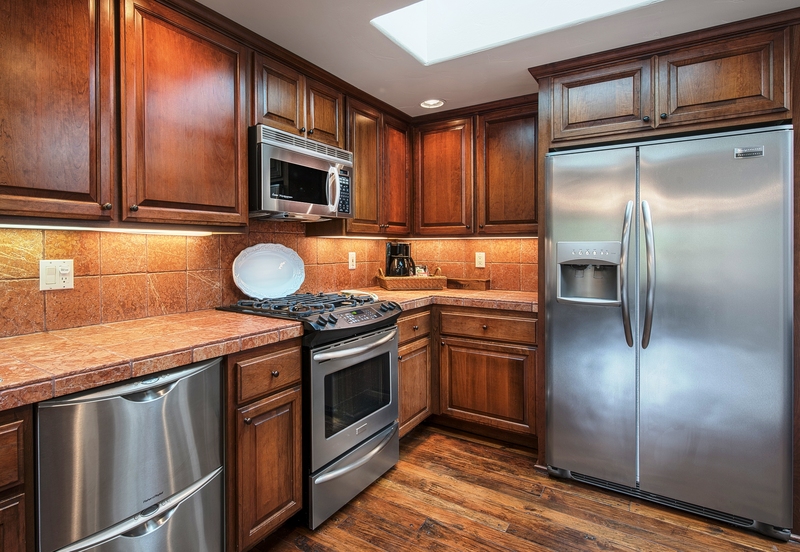 The well-equipped kitchen includes new stainless steel appliances and tumbled stone tile counter tops and back splash. 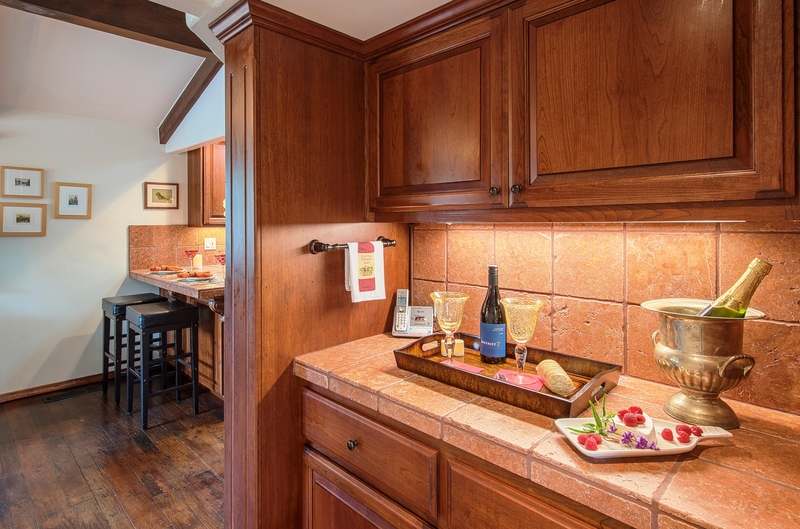 Counter seating for two is just right for a quick snack or drink. A stacked washer and dryer are at the ready for laundry needs. French doors lead from the master bedroom to an enclosed back patio with outdoor table and chairs, surrounded by live oaks. Master bedroom amenities include a king-size bed, a 40-inch HDTV, an accent antique-style electric fireplace and en suite bathroom, which features a shower with custom travertine tilework and a large adjustable sunflower shower head. A second bedroom has a queen bed and 36-inch HDTV, and an adjacent bathroom offers a combination tub/shower and travertine tile. Docks for iPods can be found in both bedrooms. The two tiled patios are accessible through three sets of French doors, with ample outdoor seating, a deluxe gas grill, and privacy fencing. Parking space for several cars is available in front of the house. ** Guest stays of 30 days or more will also be responsible for utility charges (Electricity, Gas and Water), mid stay cleaning fees and a security deposit. ** This home is managed by Sanctuary Vacation Rentals. * Rates are subject to change and Owner approval. Guests Stayed June 2016 ~ Reviewed on HomeAway ~ 5 out of 5 Stars! 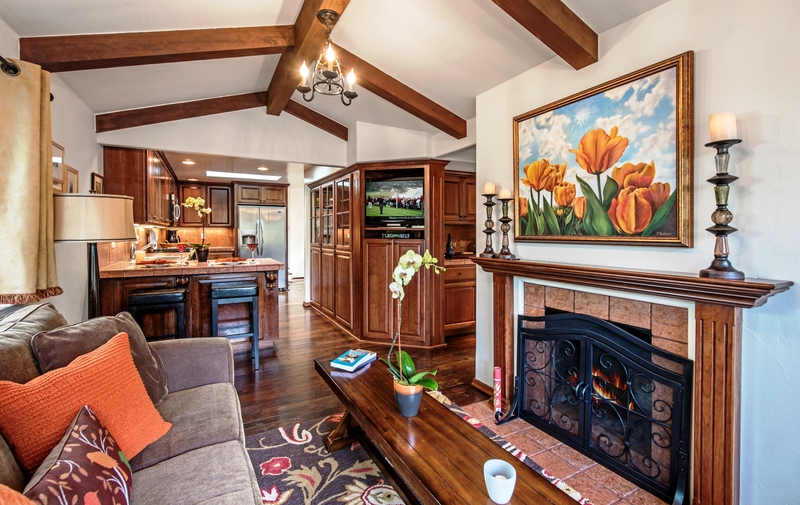 "Great Carmel vacation home! This is a fantastic rental. Pictures are representative of the property. Although this property allows pets, there is no evidence of it in the condition of the home and decor. 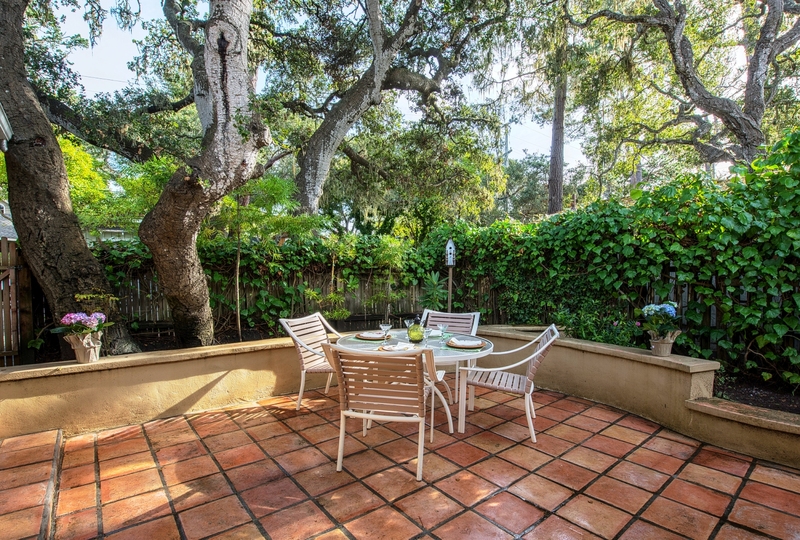 Conveniently located close to downtown and to the beach. Very quiet street.Well appointed with everything that we needed. Thank you to the owner for sharing your property. We hope to be able to make a return visit." Maximum occupancy - Home sleeps up to 4 adults and 2 children age 12 or under. Note: Master Bedroom has an electric fireplace, access to the back yard, TV and an en suite bathroom with a shower. Note: This room has a TV, access to the back yard and is very near the hall bath which has a shower over tub.